The Law Registrar's Office releases academic record transcripts in compliance with the Family Educational Rights and Privacy Act (FERPA) and issues official transcripts only with a signed permission from the owner of the student record. A one-time consent form to release your transcript may be required. Hold for Pick-Up at the Office of the University Registrar, is on Monday - Friday, 9 a.m. - 5pm. Email lawregistrar@chapman.edu with any questions about transcripts. To obtain your Chapman University email password, please contact the Service Desk at 714-997-6701. 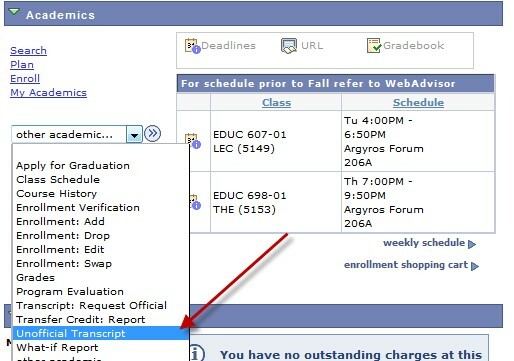 Transcripts for Brandman University or University College students from Catalog years 2010 or later, are ordered through Brandman's Student Self-Service website. Students who were enrolled at Chapman University College prior to 2010 may go to www.getmytranscript.com to order official transcripts.